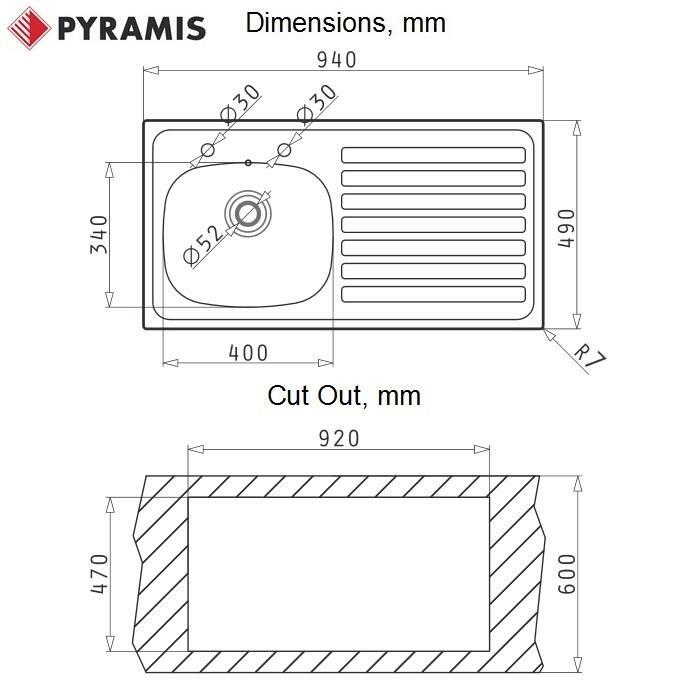 PYRAMIS Manufacturer's Product Code: 100127301. The Pyramis Essential BS Inset Stainless Steel Single Bowl Kitchen Sink with Right Hand Dish Drainer and 2 Tap Holes, Smooth Finish. - Overall Size (L x W), mm: 940 x 490. - Min. 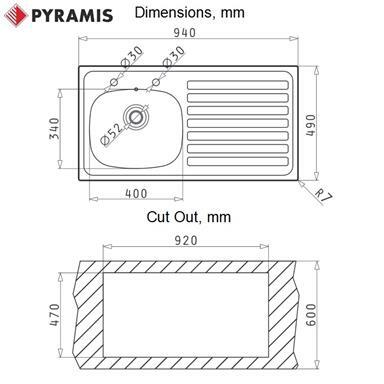 Base Unit: 450mm. - Number of Drainers: 1. - Drainer Position: Right hand. - Number of Bowls: 1. - Bowl Position: Left hand. - Bowl Size (L x W x D), mm: 400 x 340 x 150. - Installation: Inset Profile 1. - Outflow (waste): Ø52mm, round. - Waste Kit: Not included. - Number of Tap Holes: 2. - Tap Hole Size: Ø30mm. 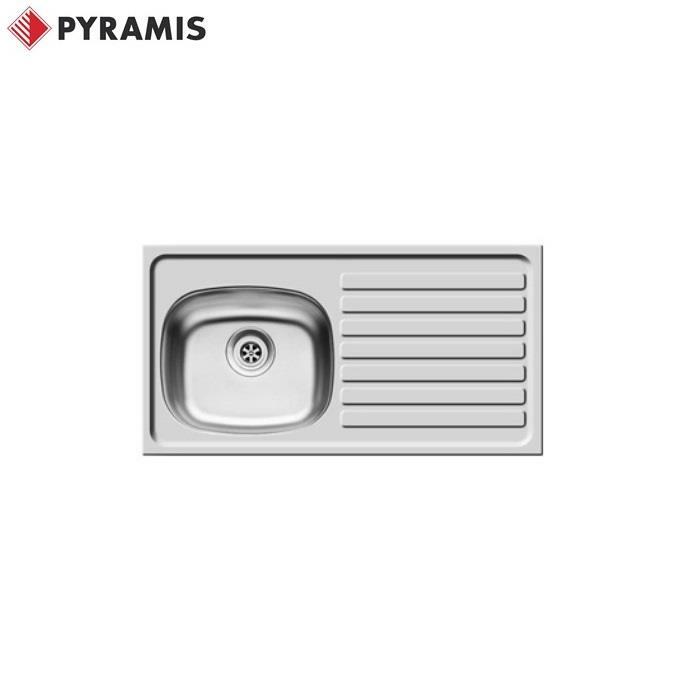 * Please Note: Price is for the kitchen sink ONLY; Taps and waste are NOT included and have to be purchased separately.